To celebrate the fiftieth anniversary of the birth of Milton Keynes as a new town, The National Museum of Computing on Bletchley Park is hosting a special weekend on 21-22 January 2017 highlighting the past, present and future of computing. For the first eight years of Milton Keynes existence, the existence of the code-breaking Colossus computer, was still secret. On this special anniversary weekend, visitors to The National Museum of Computing can see the world-famous rebuild of Colossus together with the array of technology that has followed in its wake and powered the development of Milton Keynes. There will also be glimpses of technologies to come. 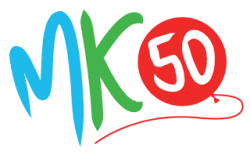 To celebrate the Milton Keynes anniversary year and ten years of the existence of The National Museum of Computing, MK families get half-price entry! It is only £10 (normal price £20) for a family of up to 2 adults and three children (under 16). Just bring proof of residence within an MK postcode.